A San Diego man accused of knowingly spreading HIV to unwitting partners is still active on the dating app Grindr and may be using an alias, an ex-boyfriend tells NBC 7. 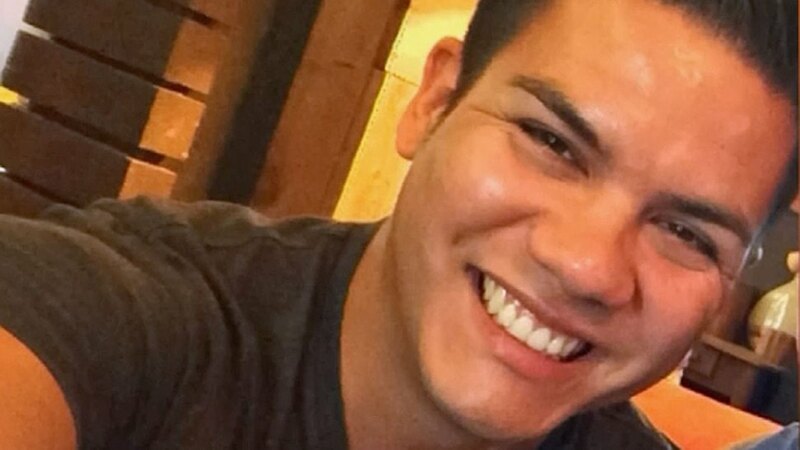 Thomas Miguel Guerra, 29, has pleaded not guilty to a misdemeanor charge in connection with what San Diego City Attorney officials say was an ongoing plan to knowingly spread HIV. An ex-boyfriend who spoke with NBC 7 shared a text message in which Guerra appeared to gloat about a person becoming HIV-positive. "Yay lol… Someone getting poz that day lol….Already poz. ...Poor Sucka," the text read. The ex-boyfriend, who did not want to be identified, said he is concerned he may be a victim. “It’s unconscionable. It's sad," he said. The city's criminal case against Guerra is based on the claims of another ex-boyfriend of Guerra. That man says Guerra assured him that he was HIV-negative when they began dating in April 2013, according to an arrest warrant filed April 15. According to the warrant, the man said he was still worried about contracting HIV and asked Guerra to go together to get tested. Guerra tested positive at that time, according to the arrest warrant. A week later, the alleged victim also tested positive, prosecutors said. According to the warrant, in August 2013, Guerra's then-boyfriend discovered message logs on his computer from Guerra to others dating back to 2007 referencing his HIV status. "Defendant also joked around in text messages about being HIV-positive," the warrant said. When NBC 7 went to Guerra's Imperial Beach home, he drove away in his SUV without speaking to a reporter. He has pleaded not guilty to the charge against him. The alleged victim in the criminal case ended his relationship with Guerra in August 2013. 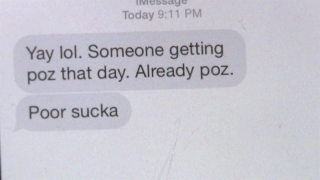 A text message shows a conversation between Guerra and a friend. The ex-boyfriend who spoke with NBC 7 is concerned that he too may be a victim, after he had a year-long relationship with Guerra. He also said he believes there may be as many as 24 people who were unaware of Guerra’s medical history. Guerra has used Grindr recently under the name “Ashton Chavez,” the ex-boyfriend added. “What I find grotesque is he'll tell an individual he's negative and brag about it, and laugh about an individual afterwards that he's positive," the ex-boyfriend said. San Diego police referred the case to San Diego County District Attorney's Office in April. The DA's office declined to issue a felony warrant and referred the case to the City Attorney's office to be handled as a misdemeanor. Guerra has been charged with one count of violating a section of the Health and Safety Code that states that anyone with a communicable disease who willfully exposes himself to another person is guilty of a misdemeanor. If convicted, he faces up to six months in jail. He’s been ordered to appear in court Sept. 2 for a readiness hearing. The investigation is ongoing, and Guerra could face additional charges.